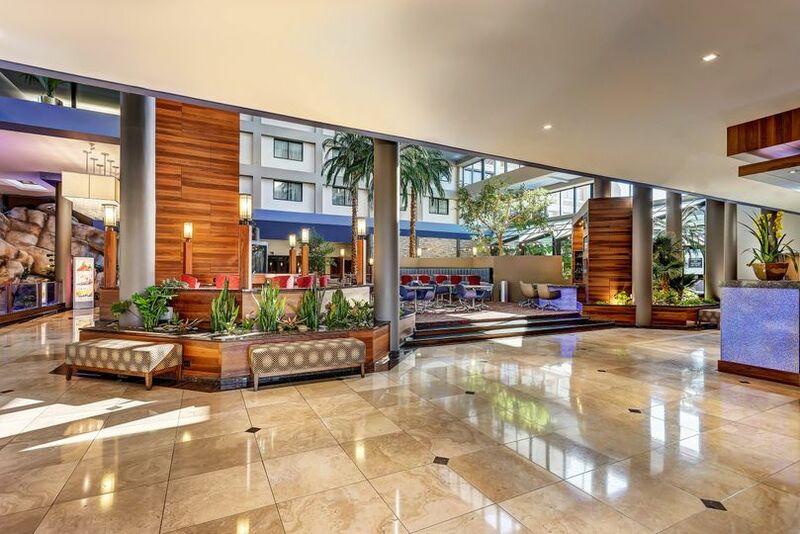 Crowne Plaza Foster City is a bustling, 351-room hotel and wedding venue located in Foster City, California. Couples will experience a five-story garden atrium as they walk into this unique venue. It features a room-length waterfall along the east side, and guests will enjoy the four streams of water that cascade among rocks and flowers. 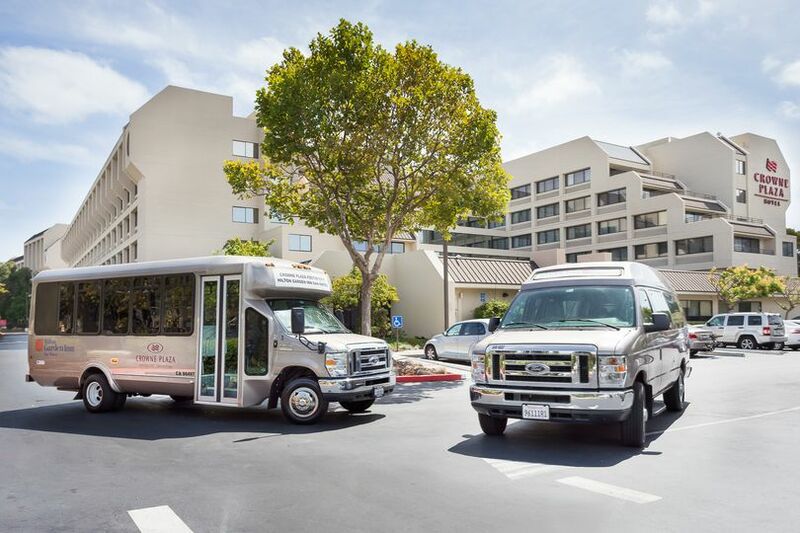 Crowne Plaza Foster City provides an experienced wedding staff to make sure your special day is everything you dreamed it to be. 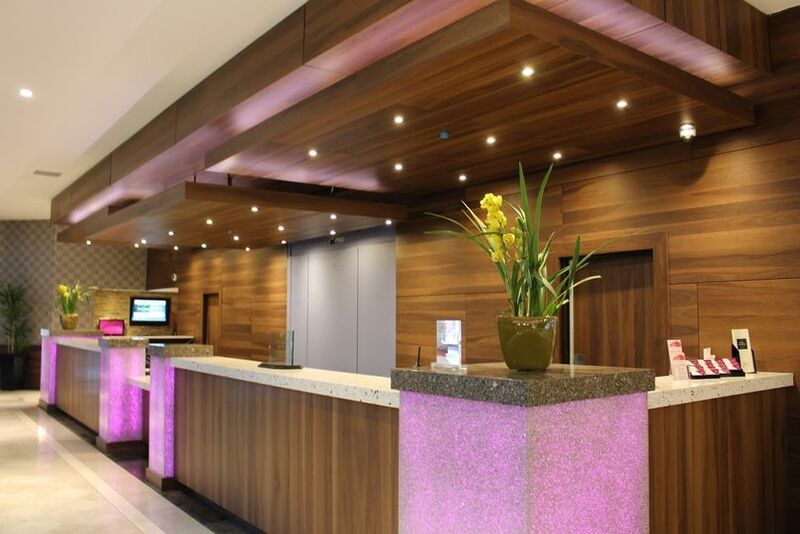 Couples can accommodate up to 1,000 guests at this elegant hotel. 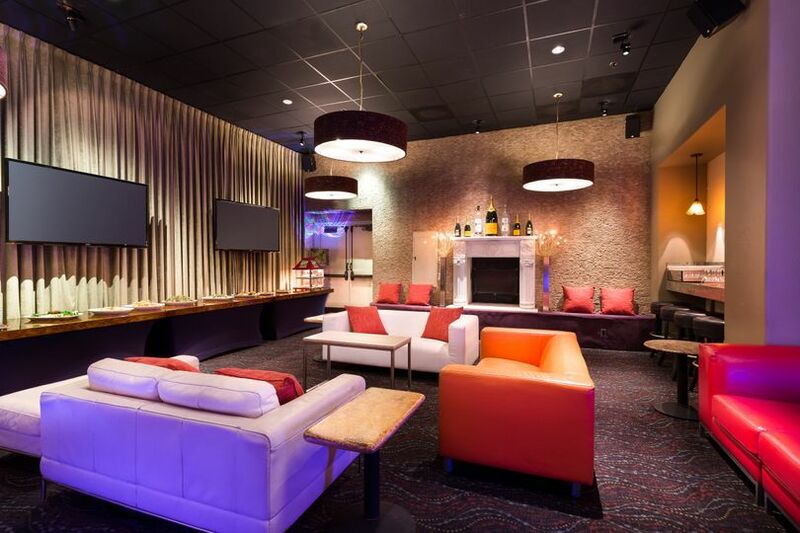 They offer 12 different indoor settings among 16,000 square feet of event space. The garden atrium is adorned with palms, fiscus and other plants; offering the perfect ambiance for your ceremony. 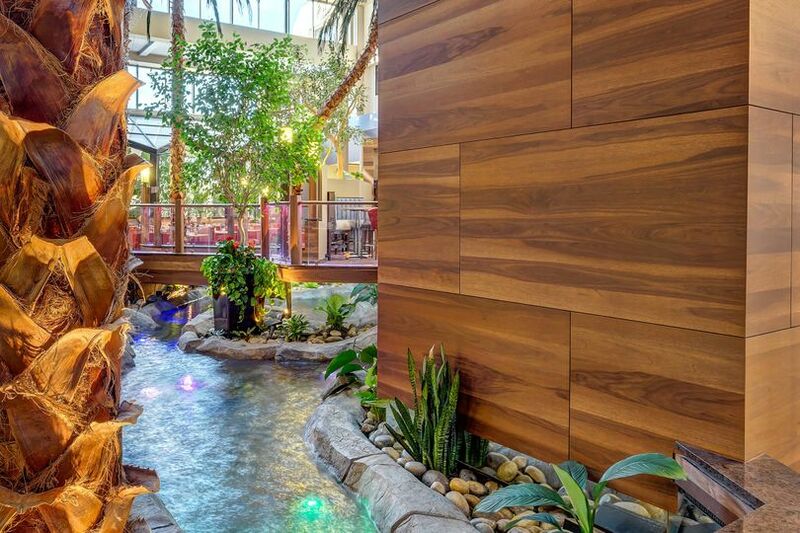 Besides featuring a waterfall, it also features a wooden bridge where you can exchange your vows. 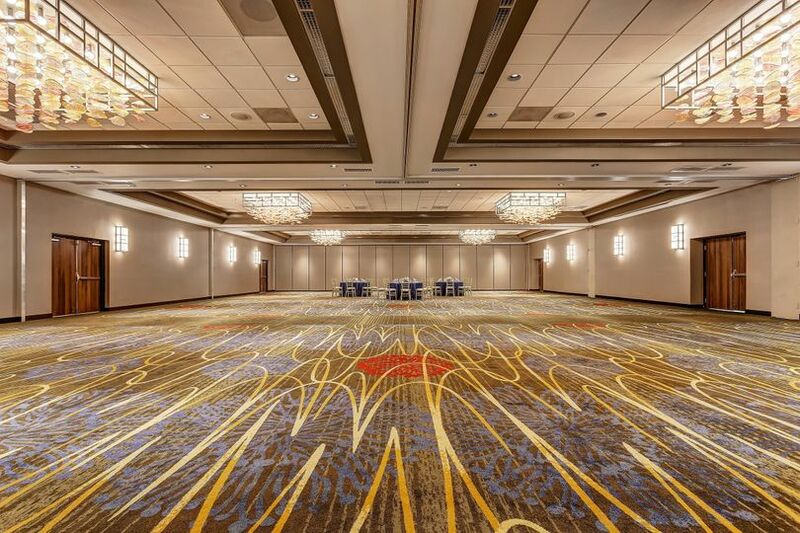 The Magellan Foyer is perfect for your cocktail hour, then you can move into the adjoining ballroom for your reception. It can be divided into four sections depending on the size of your wedding. 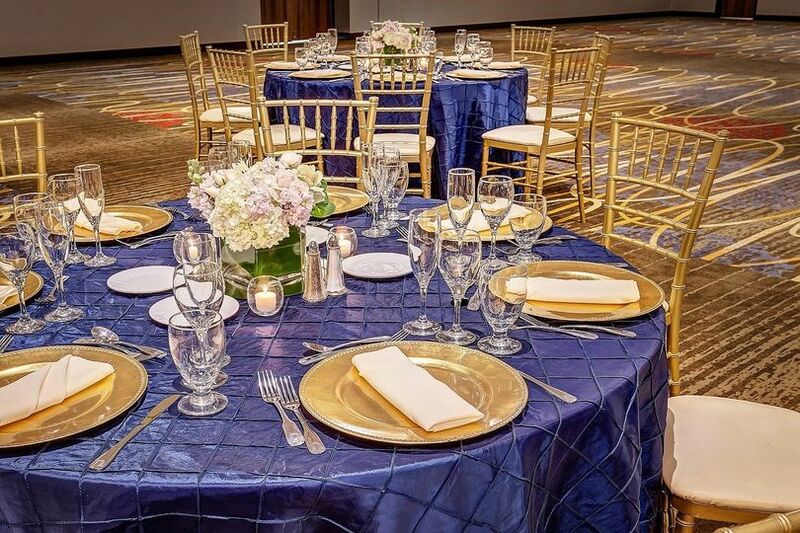 For intimate celebrations, The Marco Polo room is perfect. 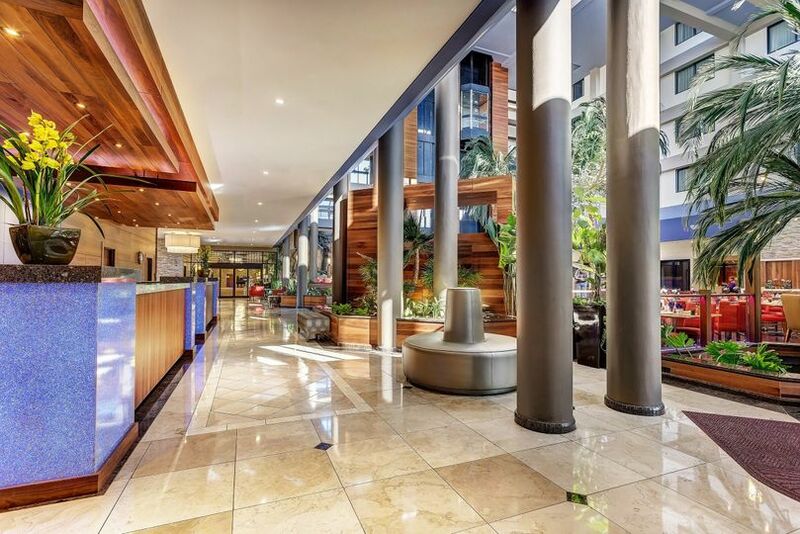 It’s located off the atrium and features rich wood throughout, as well as a glass wall facing the atrium. My husband and I got married at the Crowne Plaza in March and overall everything turned out absolutely amazing. Planning a wedding can be stressful but Pamela and Reyna really helped make our day a day to remember. They both are so kind and will go out of there way for you. The day of the wedding, the service was beyond excellent and accommodating, the food was fantastic and plentiful, and the venue was beautiful and spacious. 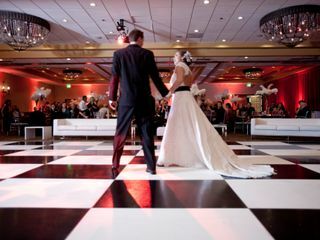 We had almost 300 people at our wedding which fits 3 of the 4 rooms of the hall, but Pamela was sweet enough to give us the 4th room so we can have a huge dance floor as well as having our guests feel more comfortable. 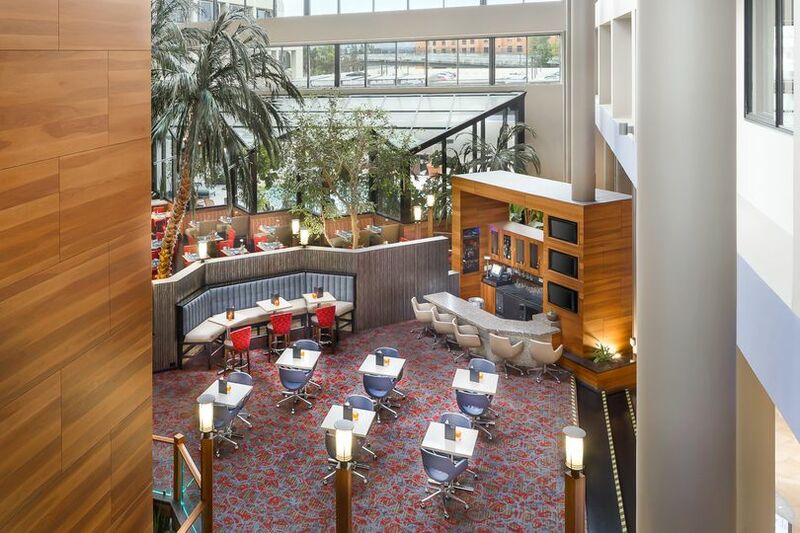 Areas for improvement- We booked the Crowne Plaza a year before our wedding and there was a lack of response up until a couple months before March. It all worked out in the end but me and my husband are planners so it made things a little difficult. Also day of the wedding, I was told my bridal suite would be ready by 9am and it wasn't until 11am. All in all, our sincerest thanks to the Crowne Plaza staff. Thank you Crowne Plaza, for making my dream come true. Everything was excellent! We had our wedding on January 6th and we couldn't have asked for a better location and team. The staff from our wonderful Catering Manager (Pamela), amazing Sales Manager (Reyna, all the way to our Banquet staff was just so amazing. Everyone had a part in making our special day the best day ever! 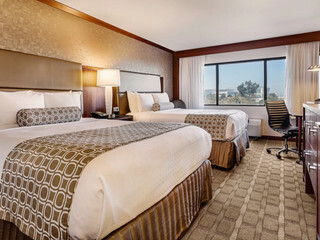 Thank you Crowne Plaza Foster City..you will forever be part of our family. 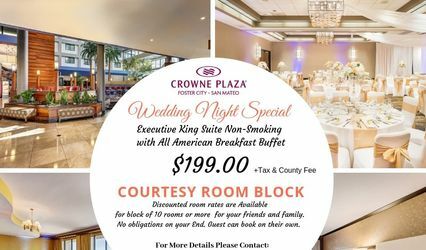 Need a Wedding Night Suite or Discounted room rates are Available for block of 10 rooms or more for your friends and family. No obligations on your End. Guest can book on their own.